Being a connected student at St Andrew’s College is to have access to various technologies, specifically a laptop computer (compulsory for students from Yr9 to bring their own laptop). A connected learner is fluent in basic computer competencies such as creating and saving files, backing up their content, working towards becoming a fluent typist and has experience with core software to further their learning such as MS Office (or equivalent). Furthermore, to be connected students take responsibility for a charged laptop whilst at school, by either charging before school or bringing necessary chargers and other peripherals with them to minimize interruptions to learning in the classroom. 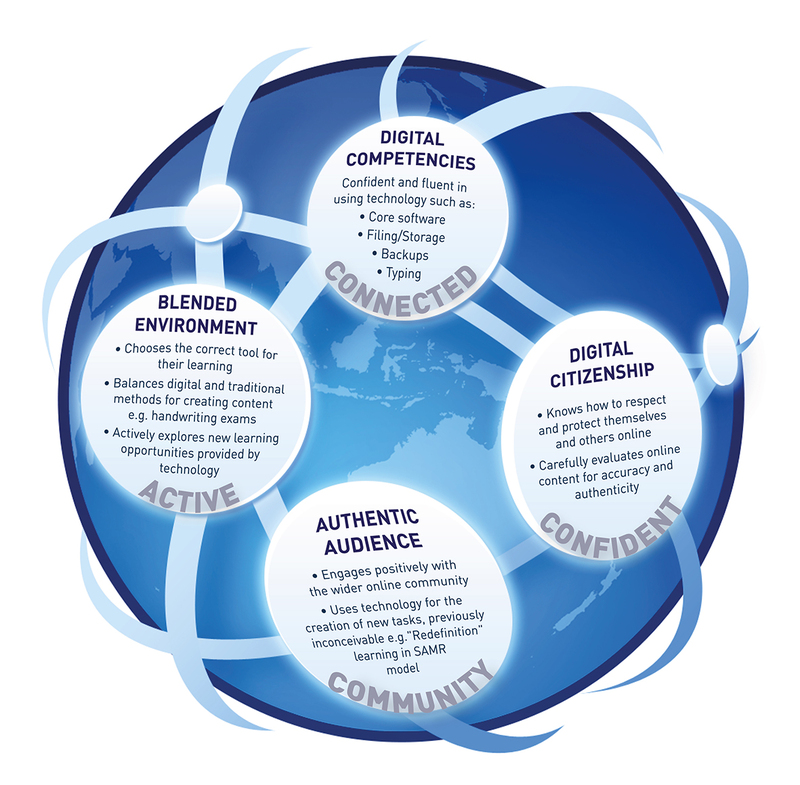 Students are connected to online resources through the College wireless network and understand their responsibilities as Digital Citizens to make informed choices when it comes to creating and consuming content online. Students who are confident users of technology at St Andrew’s College use the digital competencies of a connected student in constructive ways to further their learning. Students at St Andrew’s College will be active users of digital tools in their learning both in and outside of the classroom. e-Learning promotes the ability for students to learn ‘anywhere and anytime’ by breaking down the physical distinction between classwork and homework. Active e-Learners will make use of College resources such as the online Learning Management System (LMS) to obtain resources from their teacher, know when assessment is due and engage in collaborative learning with their classmates and beyond. Active learners will explore opportunities for new styles of learning through technology, whilst recognising traditional skills such as handwriting remain critical to complete formal assessment. Students at St Andrew’s College will engage within the wider community of learners and experts by utilizing technology and the opportunities it presents to connect with authentic audiences beyond the traditional walls of the classroom. Exercising all facets of responsible Digital Citizenship, students can share their learning through various online platforms such as blogs, websites, e-Portfolios and social media. Teachers will also create opportunities for shared learning experiences with students from other schools and countries, along with bringing subject expertise into the classroom through technologies such as video-conferencing.